The arthroscopic rotator cuff surgery is performed to inspect and reattach torn tendons in the shoulder’s rotator cuff. As a complex group of tendons and muscles in the shoulder joint, the rotator cuff plays one of the most vital roles for shoulder’s mobility and flexibility. 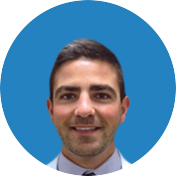 For that reason, injuries in the rotator cuff can significantly impact person’s lifestyle, and arthroscopic rotator cuff surgery is one of the most effective solutions for rotator cuff injuries. 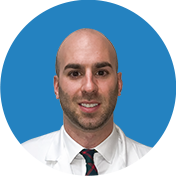 Dr. Armin Tehrany, one of the top New York shoulder surgeons, is specialized in arthroscopic shoulder surgeries. 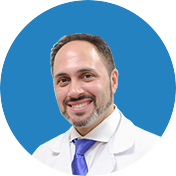 He has a remarkable track record of numerous arthroscopic surgeries that tremendously helped and improved the lives of his patients. Joanne Schumann is a wonderful and dear lady that had an appointment with Dr. Tehrany due to a tiresome pain in her shoulder. 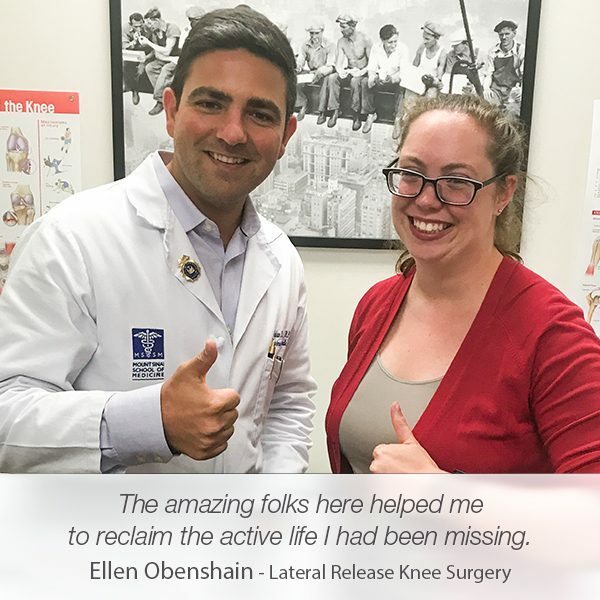 She was referred to several orthopedic doctors, including Dr. Tehrany by her doctor, and after a thorough research, she decided to schedule an appointment at Manhattan Orthopedic Care. 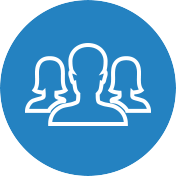 As a result of the professionalism, she was greeted and treated with, Joanne was assured that choosing Dr. Tehrany was the right decision. 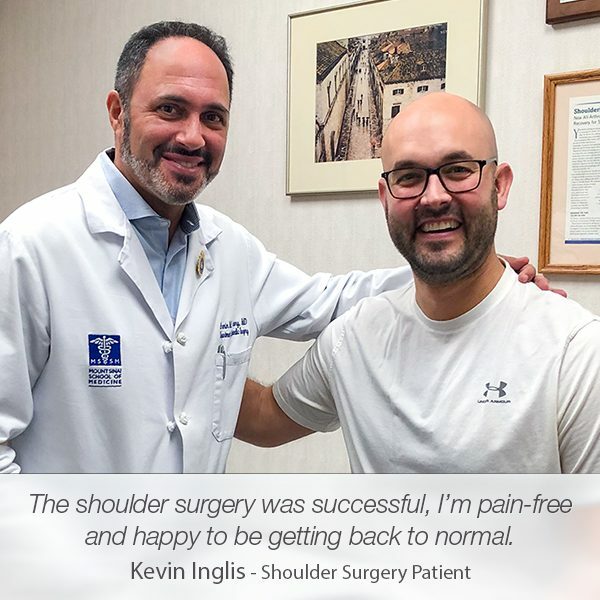 Delighted with the compassionate care and impressive treatment she received at Manhattan Orthopedic Care, she wrote a genuine review on Google, and she shared the excitement that a year after her surgery, she is feeling completely healed with the shoulder back to its full strength. 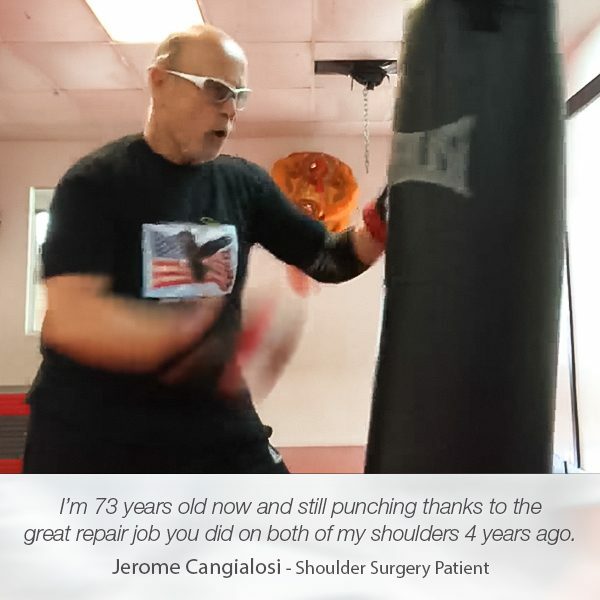 “I required rotator cuff surgery in January 2017, due to a bad fall that damaged my shoulder and bicep tendons in multiple locations. My family doctor referred me to a couple of surgeons, Dr. Tehrany being one of them. After my husband and I did some research, we decided to schedule an appointment with Dr. Tehrany. That was one of the best decisions I made. Not only is he highly skilled but he was so kind and compassionate every step of the way. He explained my options, discussed the procedure and gave his recommendations which I was behind 100%. I felt like he was truly looking out for me. I experienced no real pain after the surgery, just some discomfort. I was very surprised, I had expected much worse. 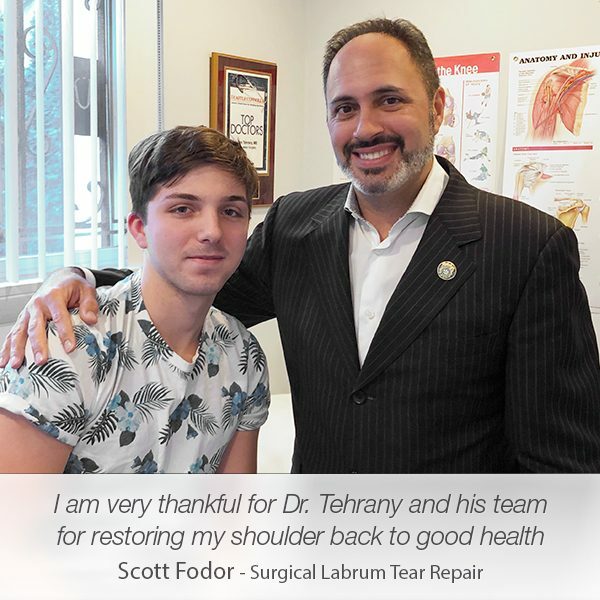 The staff at the MOC, Dr. Tehrany’s medical team and the local support staff here in Staten Island were amazing every step of the way, from scheduling, pre-op, surgery and through my recovery. Even working closely with my Physical Therapist.